Copyright � 2001 PopEntertainment.com. All Rights Reserved. After a long hiatus from recording, ex-Mott The Hoople frontman Ian Hunter is back, all guns blazing, with one of the best records of his career, Rant. 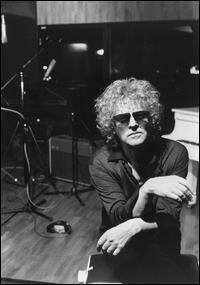 We spoke with Ian Hunter about thirty years of rock and roll service. Rant is one of this year's best albums. We're getting a bit of play on Triple A radio but it's just not enough. And where it is getting played on radio, it sells. It translates. How long did it take for you to finish all the songs for the record? Three years. Usually the first year or so I'll think I've written great stuff but two weeks later I don't like it. It's a quality control thing. You just keep writing and writing and discarding and discarding. But all the time you're writing the writing muscle improves. After a couple of years all of a sudden it starts kicking in and you start getting things that you really don't want to get rid of. The first song I felt was too good to not go on the record was "Morons." That was recorded in my basement apart from the drums. A guy called Robbie Alter was stating with me, he plays on a couple of tracks. He said, "Why don't you write one of those things that you used to write in Mott?" And I said, 'What's the point to that?" And he said, 'Well, you're the only person that can do that." So when he left, I hadn't touched a piano in about ten years, the album before I did all on guitar. So I started playing piano and that was the first one that came out. The first line, 'We were morons the day we were before.' That was ii right there. I knew I'd captured something that was running around in my head for a long time. It came about because there's a song on Rant called "No One", it's the last track on the record. It's a four-chord song in B flat. I was playing "No One," when I came to the fourth chord of the sequence, instead of going to the F chord, I went to E flat by mistake. That's how "Dead Man Walkin'" was born. It just developed from that. The sound of those four chords is so eerie to me that I ditched "No One" and carried on writing that. Andy York had heard "No One" on a cassette and he said we should do that one as well. "Dead Man Walkin' is my favorite track on the album. It falls together real nice. I'm not that great a singer. So you're not only trying to write lyrics but something that suits your voice. Live, that song is fantastic. I love doing it, it's just perfect for me. Tell me about the line, "What am I supposed to do now, sink to the bottom of obscurity?" It's brutal self-assessment. If I cast myself back to when I wrote it, I had no label. I had no musicians, I had no access. 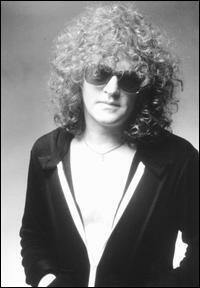 With your track record with Mott The Hoople and as a solo artist, you're not going to sink into obscurity anytime soon. But sometimes you feel like that. That's how it was. Speak about battling back from a long hiatus from recording, the difficulty of regaining a larger audience. I couldn't get a record deal. Rant was done on a very small budget. It came in under seventy grand, largely due to people helping me out. People working for cents on the dollar. A pro tools guy who worked on the record figured out that I was paying him seven cents on the dollar (laughs). But what can you do? That's what was confronting us? I really didn't like the Eighties. I really didn't try in the Eighties. I wasn't very good. I only got really serious about it again after Mick Ronson died. I thought that I should be doing something with my life. I said to myself, You get a free pass in life and you're really abusing it, you should get serious and do something about it. That's been the motivation behind this. The motivation wasn't to sell a load of records and be a big star, that wasn't the motivation at all. The motivation was to get back up to the level, which I set myself earlier on and then lost. You wrote a bunch of songs for the new record which you later ditched. Do you think your radar for what songs are good and what songs are of a lesser quality has improved over time? Yes and no. If you're asking me do I release what I want to release and does it have the desired effect, yeah. Have I passed up on songs that may have done better commercially? I don't know. That could be true. I'm only concerned with quality control, I'm not concerned with commercial control. I make a decent living anyhow, it doesn't matter. Tell me about "Wash Us Away." It seems to be a generational thing, a decade thing comes to mind. It's about the succession of liaisons that take place throughout life. They become more adult but they all pass. Your book, Diary Of A Rock And Roll Star is a classic. Tell us what prompted you to write it. I just got married so I was not chasing girls so that left open a lot of time. I was never much of a druggie. There was a lot of hanging about. I always had a real bad memory. I though that I would do a diary and just record all of this in case I forget it all. At the end of the tour I was in England. There was an author who had a contract for six books and he was missing one book. I told him, 'I've got this diary, if that'll help you out.' And that's how that got published. It was written as an exercise for memory. Can you cite some of the best times with Mott the Hoople? I think the early years. The first album. Just the joy of actually having a record deal and having a label that was interested in us. Then it sort of went downhill for a couple of years. Then we got with CBS and "All The Young Dudes" came out and that was quite fabulous for awhile. How close was the band to splitting before you landed a hit with "All The Young Dudes"? We broke up in Switzerland. 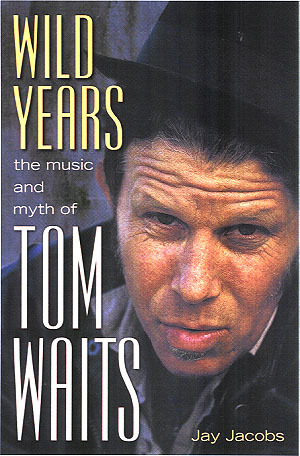 When we quit, Pete Watts, the bass player, rang up (David) Bowie looking for a gig. Bowie at that time was forming a band. David said, "What do you want to join me for, you're with Mott The Hoople?" Pete said, "We split up." David went on this whole crusade to get the band back together again and he offered the band "Suffragette City". I didn't think it was strong enough because radio was closed to us, kind of like now actually (laughs). Then he came back with "Dudes." Weren't you forced to change the lyrics from "stealing clothes from Marks & Sparks" (a department store in England). We got to change it because there was some kind of weird law in England. It was rubbish. I had to fly back and change the one line to "stealing clothes from unmarked cars." While "All The Young Dudes" gave the band new life, don't you think that it also presented the band in a more glam-rock light than what you truly were? We were desperate. We were running out of options. It's all very well talking about it in hindsight, 20/20, but at the time everybody in the band went for it hook, line and sinker including me. We didn't know where it was gonna lead, we just thought, it's a hit, we need a hit! How was Bowie as a producer? He was great. He'd just been working with (Tony) Visconti so he'd learned a lot as had (Mick) Ronson. David's work in the studio was very quick and very intense. We learned an awful lot from David and Mick. I know that you're a big Dylan fan, as you can tell by your lyrics and even your voice. Share your thoughts on Dylan, the artist. He's the best, as simple as that. A couple hundred years from now I don't think they'll be talking much about people in our business but I think they'll be talking about him. Your partnership with Mick Ronson led to some amazing records. Can you characterize your working relationship with Mick? Mick said it the best when we were at a radio station in Canada. A bloke asked him, "How do you and Ian work?" And he said, "I play a bit of guitar, and he comes in singing and when he stops singing I'll play a solo. Then I'll stop when he starts singing again and when he finishes singing again we stop" (laughs) Mick came from the song. He would try and write a song within a song rather than going up and down the fretboard at ninety miles an hour. He was an extremely melodic, very classy, quality player. 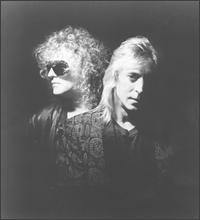 Share your memories of when Queen opened for Mott The Hoople on their first U.S. tour. I remember they were abused with crap and they were very upset. The people just didn't get it. Fred (Mercury) was very impatient. Fred wanted to take over the world immediately. They came to me and said, "What do you think?" I used to walk in when they were doing their last two songs which was "Keep Yourself Alive" and Liar." So I only knew two songs but I knew that they were both good and I said, "You're not gonna have a problem, you'll be fine. It's just the world takes time to adjust." If you have songs, and they did have songs, usually you're gonna be alright and they were. To this day, I have a great relationship with the guys in Queen. Tell me how you became a member of Ringo Starr's All Starr Band? David Fishof, the bloke that puts the whole thing together, rang me up. It fit between the two tours that I was doing. I'm doing an American tour in the fall and I was doing an English tour in the spring. And it fit. So I thought it would be fun, that it would be interesting. With some of the Eighties artists that are part of the band (Howard Jones and Sheila E), I'm a little puzzled how it's going to sound. I've said that to a couple of the people that rang me up and they say, "It's the same every year. People always ask 'How is this going to work?" but somehow it always does." I love Sheila E. The only thing that kept me going in the Eighties was Prince. She's amazing. One of the things that really struck me about wanting to do it was Sheila E, actually. It's not that I can play her stuff, I'm not very good at all. It's just really interesting. Her stuff is really difficult to play. I might do one song off Rant like "Still Love Rock And Roll" or "Purgatory" and a couple of the older ones. I'll probably do "Cleveland Rocks." Are you excited to be playing with a Beatle? Oh yeah, that's a tingly feeling. Ringo rang up here and I was still in England. I came back here and Ringo was on my answering machine and it was like, "Wooh! It's weird (laughs)" Then he rang me again and we had a chat. Everybody's told me he's a great guy. Music in 2001 seems to be very specialized, there's rock, and then there's rap, there's country and then there's adult contemporary. In the 70's you could hear Mott and then The Carpenters on the same radio station. The window of what people were being exposed to on a musical level back then was a lot broader, your thoughts? Record company greed caused this whole thing to take place. They did not support radio. There used to be thirty-two spots before you went in, thirty-two spots when you came out. Some bright spark said 'Give 'em sixteen." And then somebody said, "Give them eight in and eight out." And somebody said, "Give them four in and four out." Radio began to depend more and more on corporate funding and less and less on record company funding. Corporations found out if they bought the radio stations it was better business than renting them. At that time, corporations were paying too much for TV. They reverted to supporting radio as the record companies were moving out. So now you have corporate radio stations who don't' know what to play. Now they've got to get people to tell them what to play. Then you have these consultants who are now running one hundred and fifty stations so now "the Philly Sound" is no longer "the Philly Sound". The Detroit sound is no longer the Detroit sound, blah, blah, blah. Now we're in a situation these days where one guy says to eight hundred stations, 'this is what you play.' This is why you've got a tight playlist. Disc jockeys are no longer disc jockeys, program directors are no longer program directors. There are exceptions to the rule but in the main in division one in American music, this is what's happening. It's strictly corporate. #1 � Courtesy of Ian Hunter. All rights reserved. #2 � Courtesy of Ian Hunter. All rights reserved. #3 � Courtesy of Ian Hunter. All rights reserved. 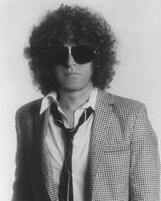 #4 � Courtesy of Ian Hunter. All rights reserved.